Hog roast Chelmsford can offer you our machine hire service with you chosen meat; once you’ve enquired we would send out your price attached with the menu. If you then wanted to go ahead a book, on the day of your event one of our fully trained members of staff would come and deliver the machine with a canister of gas along with your meat. Don’t worry if you’ve never cooked on a hog roast machine before we can show you how to set it up and switch it on, then all that’s left to do is calve your juicy succulent meat after 6 hours of it roasting. Just imagine how amazed your guests would be! At Christmas we will be launching our winter warmer special, this includes the choice of wither spit roasted turkey or pork, the choice of seasonal vegetables and warm potatoes served with cranberry sauce and gravy. This menu would be a fantastic choice for impressing your friends and family and would twine perfectly with a glass of mulled wine and a tasty mince pie on a cold frosty evening. We here at hog roast Chelmsford have been clocking up some lovely hog roast catering bookings at a fair old rate. It’s obvious that the people here know a good thing when they see one – a skill than can no doubt be traced right back to 1199, when the Essex settlement officially became a market town, so even then it must have been full of savvy consumers getting value for money. Did you know Britain’s first public broadcast was aired from Chelmsford on June the 15th 1920 and was sponsored by the daily mail? Of course, its history stretches back much further than that: the Romans built a road from the town to London, which is now part of the A12. We’ve laid on hog roast packages for numerous weddings, birthday parties for all ages, and a fabulous fancy dress night which was great fun from beginning to end. There were some of the best costumes I’ve ever seen at that springtime event, all lining up to get their plates piled with juicy, freshly carved meat from the spit roast, accompanied by potato wedges and fresh salads. Well it’s not every day you see ‘Scooby-Doo’ and ‘Lady Gaga’ standing next to ‘President Clinton’! The guests may have been in disguise, but they certainly couldn’t hide the smiles on their faces as they savoured our tasty treats. 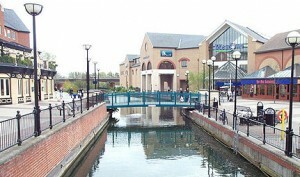 Nowadays, the town has another, more modern claim to fame, and that’s as the host of the V Festival at Hylands Park each August, and now in its 16th year, an ideal place to share a mouth-watering buffet with fellow music fans. 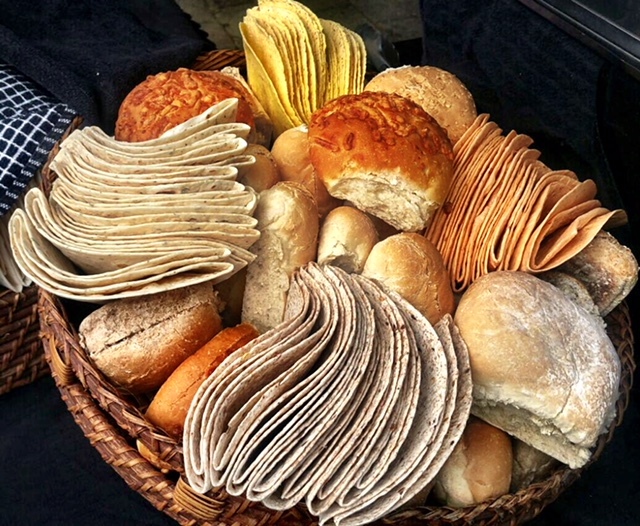 Imagine soft rolls with succulent pork, lamb, or kebabs and burgers, made fresh to order? How about a dollop of horseradish on that beef, or some more gravy? The beauty of a hog roast Chelmsford package is that it can be built just as you like it, a casual buffet where you can all stand around chatting, or a full meal with everyone seated at the table. 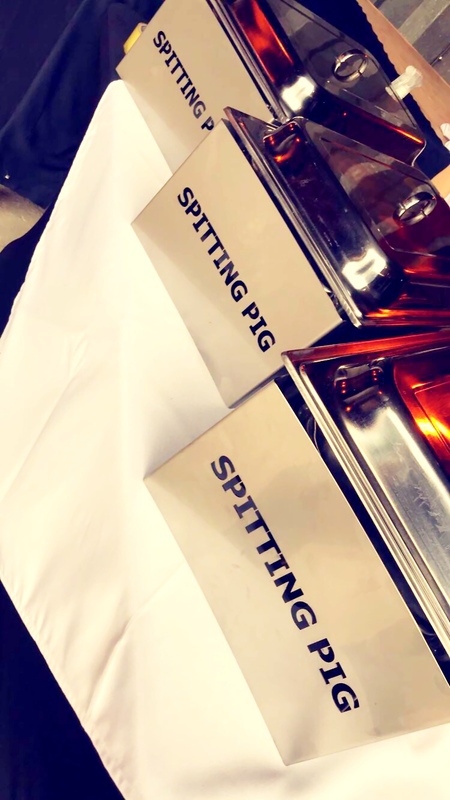 Either way, it’s nice and easy for the guests – we set up our spit roast equipment, prepare all of the food on site, serve the various courses – with second helpings of course! And let’s not forget the crackling, our customers rave about it and say it’s the best they’ve ever tasted! – And while everyone’s still enjoying them, we simply clear up discreetly and pack away. We’re very grateful for the thank you cards and messages we receive time and time again, rest assured it’s always a pleasure to cater for the people of Chelmsford and we look forward to meeting more of you very soon. Hog roasting may sound like a relatively simple tasks for the hog roast hire caterer but that would be to brush over some of the finer details involved in the whole process. In fact roasting a pig is actually one of the most intensive catering tasks that there is with an awful lot of work involved to get everything just right. Then again, with the results tasting so good, it is understandable that it should take a while to make it just right. The whole process actually begins with choosing the perfect pig for the event, and even this takes some time. You see you need a pig that is going to produce enough meat for the event in hand, so that requires the caterer to do a bit of careful selection for a perfectly sized porker. Then there is fat! Yes, fat is a really important part of the hog roasting industry. Fat plays a key role in getting the flavour and texture of the meat just right because the fat helps prevent the meat drying out during what is a quite extensive cooking period. A hog roast is a big joint of meat, in fact it’s a whole pig, so this requires a long time roasting away, six hours approximately. Without that all important layer of fat, the meat would not only dry up but it would not benefit from some of the flavour in the fat. So far from being a hindrance, the fat plays an important role. 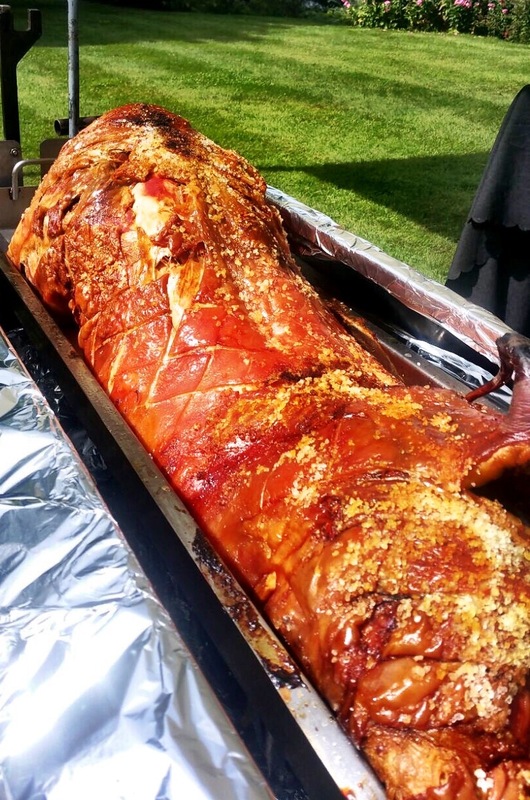 The hog roast Chelmsford caterer is also more than just a great cook, for the visuals of hog roasting are there to be enjoyed by everyone. It really is impressive when you walk into a venue and are greeted by a whole pig being slowly roasted on a gleaming hog roaster machine. It very definitely makes a welcome change from the usual table of sandwiches and chicken legs! So, what are you going to do when you next have an event that needs catering for? Are you going to play it safe and boring or are you going to live it up with hog roast?